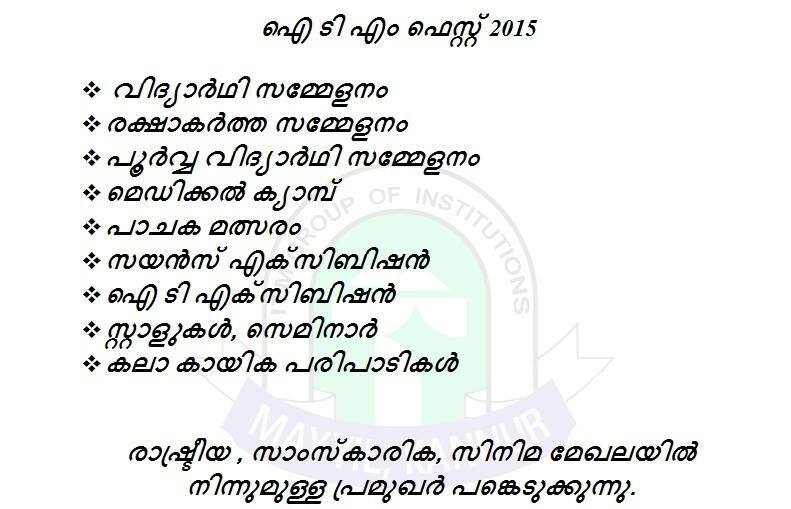 ITM College of Art & Science, Mayyil was established in 2003. It is run by Hira Charitable trust, Mayyil. Within this short span of time, it has become a well-known Post Graduate College under the Kannur University. Located in rural ambience of Pavannur Motta, 3kms away from Mayyil, the institution has an added advantage of having quiet, serene and congenial atmosphere, ideal for intellectual pursuit. Hira Charitable Trust came into being in Mayyil in 2001, with in intention to impart better education to the people of Mayyil and its peripherals. The educational facilities were relatively less in this region mainly because of insufficient literacy in this area.